Arkansas is in the Mississippi Flyway — the route for millions of migrating wildfowl. These photos do not do justice to the sight of the phalanxes of birds making chevrons across the autumn sky. Fall’s vivid colors have spanned several months here on the mountain. Most of these photos were taken in early November, a couple of them were taken within the last week. Even here on the penultimate day of November, the oaks, hickories and sweet and black gums still retain their color, even if the canopy is thinning day to day. Golden leaves in Little Rock’s midtown. Row of red sumac leaves. Wide shoot of fall foliage. This week’s photo challenge is Let There Be Light. The sun set the sky on fire. A beautiful end to a day of thanks. All taken along I-40 and U.S. 70 east of Little Rock. BINNED — Grain bins in the sunset between Hazen and Lonoke. REFLECTION — Sunset reflects in flooded farm field along US 70. TREE — Tree silhouetted against fiery sunset. I-40 BRIDGE — Thanksgiving sunset shines through the eastern arch of the Hernando de Soto Bridge. 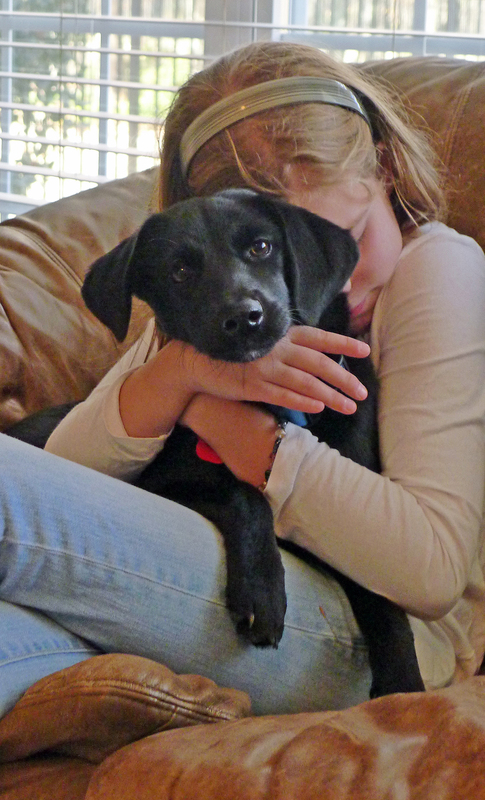 One of our nieces and her new puppy, a rescued dog. They are kindred spirits, these two. 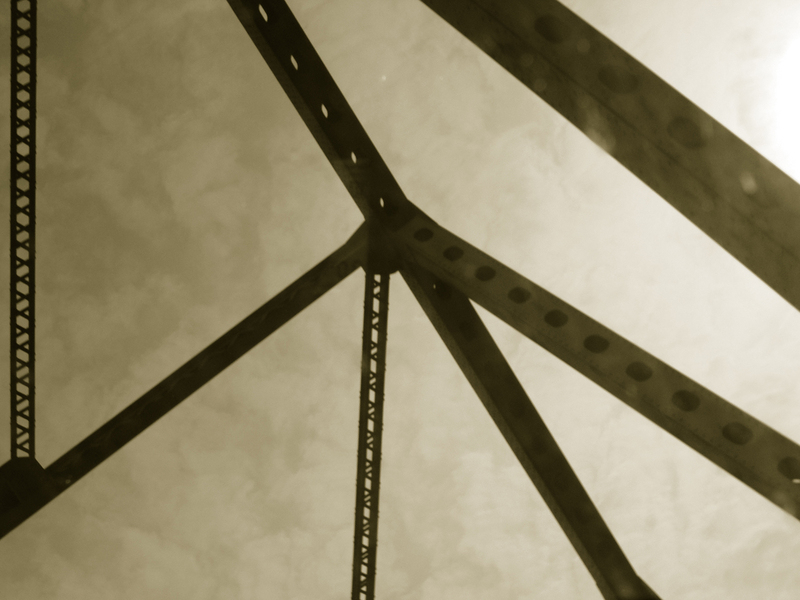 The steel girders. The mottled sky. The muddy river below. 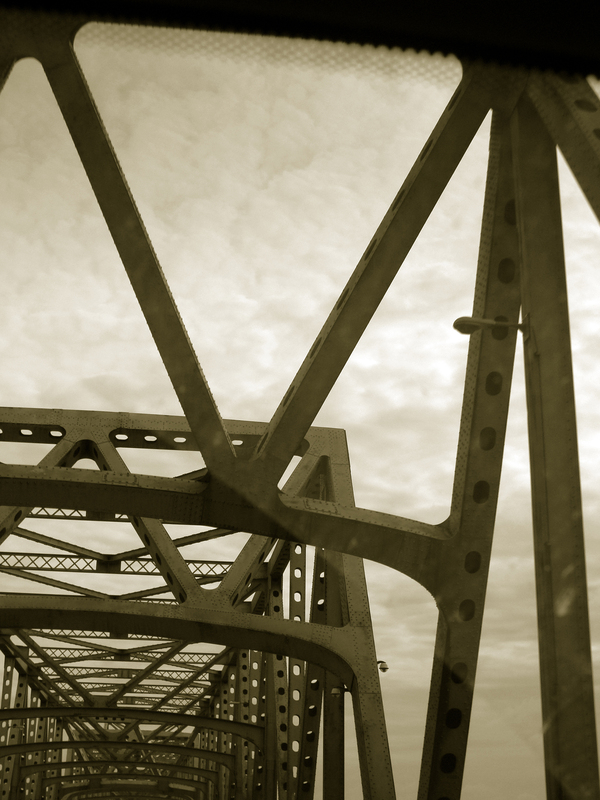 The old I-55 bridges between West Memphis, Ark., and Memphis, Tenn., have both strength and an ageless industrial beauty about them. A happy Thanksgiving to you and yours, safe travel and boundless joy in the reunion of family and friends! 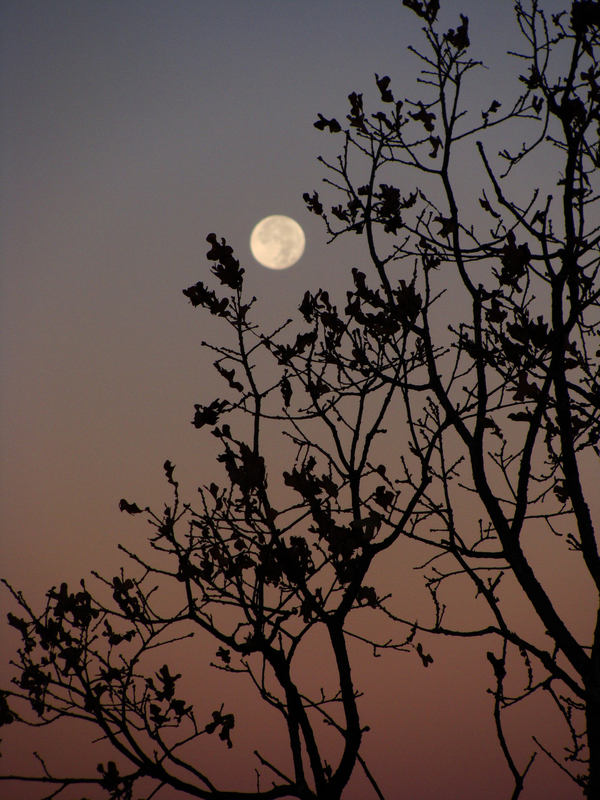 November’s full moon is known as the Beaver Moon. Though taken two days after its full stage, the moon is still beautiful before setting for the day. 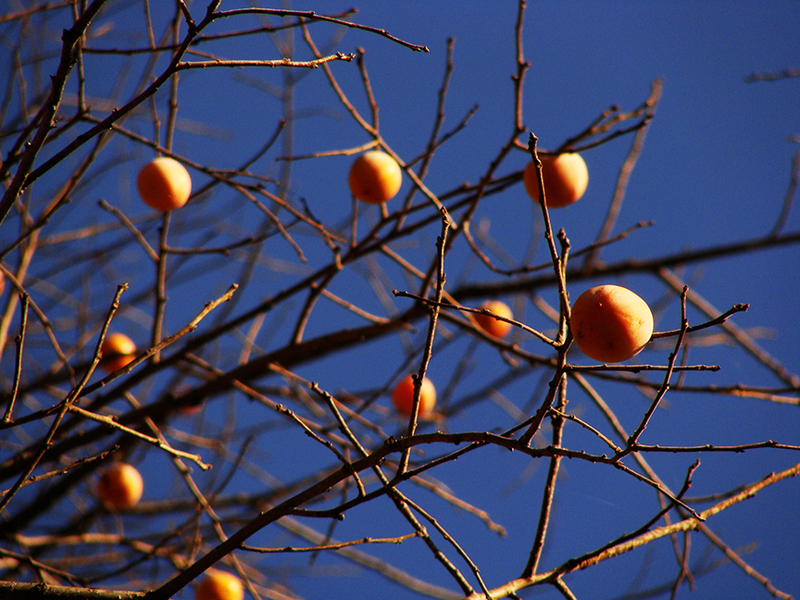 Increasingly bare branches frame the setting moon. Nature has outdone herself this year in Arkansas. The fall colors seem to have lasted longer and been more saturated than any autumn in recent memory. The sun’s low angle made these colors even more warm. 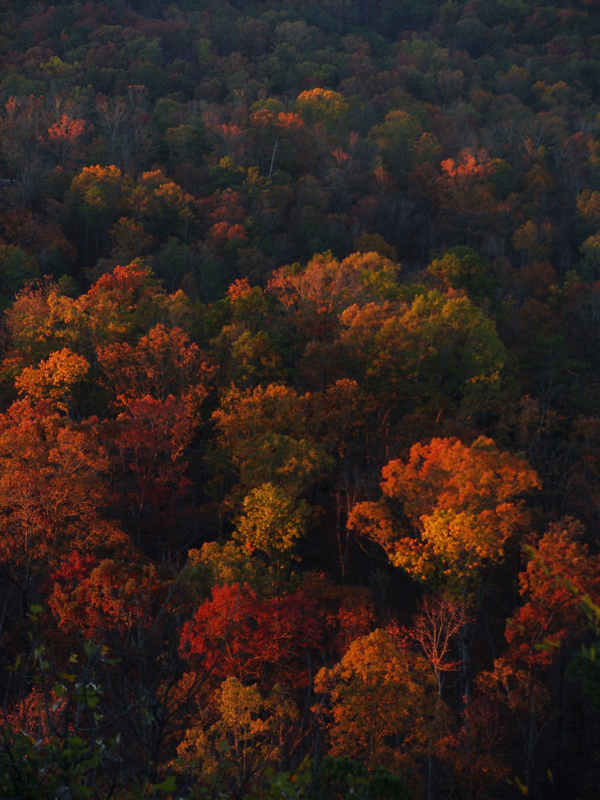 First light skims this Ouachita ridge revealing these rich autumn colors.